Quarra Clan Bloodkin is a common Endurance creature card. It is part of the Houses of Morrowind expansion. "Our clan is pure and strong." 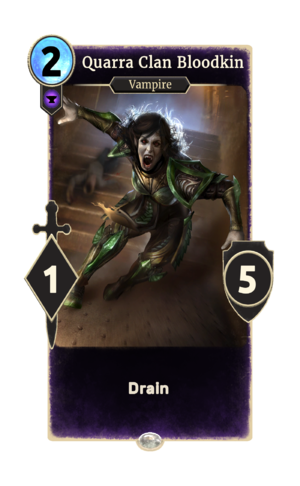 This card depicts a member of the Quarra Clan from Morrowind. This page was last modified on 2 March 2019, at 00:35.